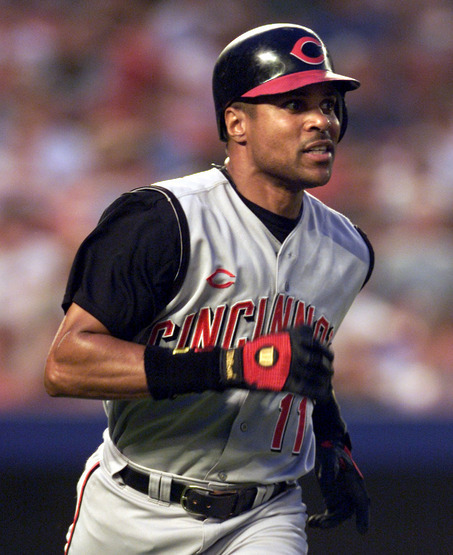 Barry Larkin was nominated to the Pro Baseball Hall of Fame yesterday, obtaining 86.4% of the vote on his third time on the ballot. I must say it was a selection that was much deserved. Being a fan of my beloved Yankees, I have been following Major League Baseball for most of my life. During that time I have associated three things with the Cincinnati Reds: the Big Red Machine, Pete Rose, and Barry Larkin. Having lived in Cincinnati, OH for almost four years, I can tell you that Larkin’s name around town is golden. And trust me when I say Cincinnati is one of the best baseball towns in this country (with St. Louis being the best). If those accomplishments do not scream “icon”, I do not know what does. This is a proud moment for Barry Larkin and his family. It is also a proud moment for people who call – or have once called – Cincinnati home. No Doubt Larkin was one of the best SS I have ever seen play. What a well deserved spot for Barry. Check out the Daily Grind! Will do my man. Thanks for checking me out!